Number 17 and 17A Fisher's Lane, Orwell are modern brick and slate construction private dwellings. Quite a few people remember that where they now stand was previously a yard from which operated a hay and straw business. Not so many remember its links with Steam! Up to the late 1960's the yard was still home to several sets of threshing tackle. Previous to this the yard was a thriving Steam Contracting yard owned by my late Grandfather Sidney Alfred Flack, seen left, who at one point had operated 6 sets of threshing tackle and two sets of Ploughing tackle. These are the few facts from the Registration Books and as I know them! Sadly most of the Steam Traction and Ploughing Engines were scrapped in the mid to late 1940's. Some of the engines owned by Grandfather, would have been rare examples had they survived. Amongst these engines were a pair of Burrell Single Crank Compound 16.n.h.p. Universal Side Drum Ploughing Engines numbers 2889, CE 8732 and 2890, CE 8731 built by Charles Burrell of Thetford in 1907 (and registered first to my Great Grandfather George Flack), and a early pair of Fowler Single Cylinder Ploughing Engines numbers 2669, NO 2671, and 2670, NO 2672, converted to Goodes Patent Tandem Compounds by Goode's Agricultural Engineers of Royston, Hertfordshire. Unfortunately the Burrell Side Drums had outlived their useful life by 1939 when they were scrapped and the Fowler-Goodes followed the same fate in 1940. A matched pair of Fowler 8 n.h.p. Single cylinder Ploughing Engines Numbers 3364 and 3368 of 1877 owned by Great Grandfather in 1916 having been purchased from William Reynolds of Bedford were sold to John W. Desborough & Sons from Wiggenhall, St Mary Magdalen, Norfolk in 1918. Thought to be registered as AH 5499 & AH 5500 and were new in 1877 to Collinson Hall, South Weald, Essex. 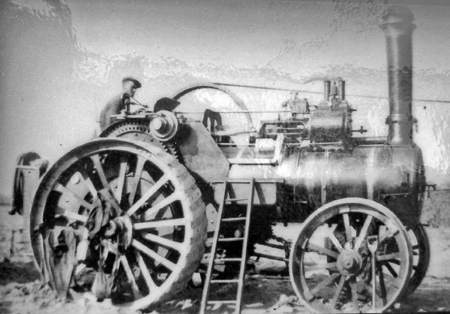 One pair of Fowler Ploughing Engines survived until 1950, as did the two of the Threshing Engines, One being Burrell 6nhp Single Crank Compound engine Traction Engine Reg. No. CF 3397, which was last used in 1951. The registration book records this engine as weighing 9 tons and the previous owner as Geo. Herbert Squirrell, Hitchham, Ipswich in 1939. 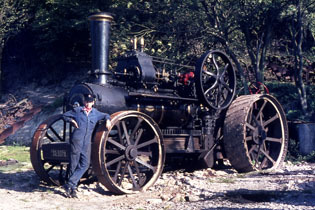 A Marshall traction Engine No. 39442 Reg. No. CE 7871, a 7h.p. single cylinder engine shown as weighing 9 tons 15 cwt in the registration book for 1942. 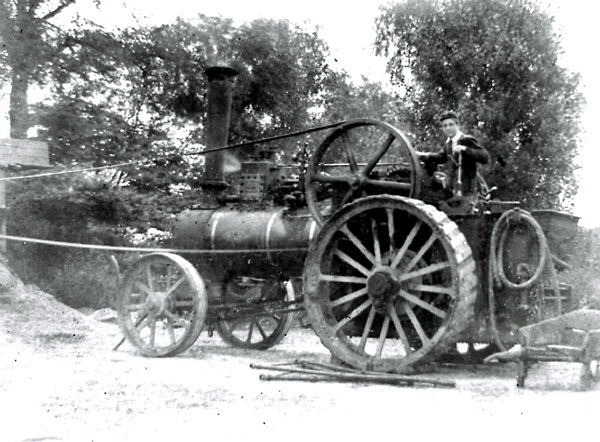 This engine was new to Thurlows in 1903 and sold to James Parish in Haverhill, she went back to Thurlows in 1904 and was sold to A. V. Coleville of Shelford and was sold to S. A. Flack in 1928 where she was known as 'Tom Thumb', she was last taxed in 1948 and suffered the same fate as the Burrell Side Drums when she was sold to Richard Duce for Scrap in 1952. Marshall 23804, an 8 h.p. single cylinder of 1894, was new to a Mr. Cox and sold to George Flack in 1904 where she remained until sold in 1920/21 to T.B. Kitchener of Potton when she was registered as NM 191. She was then sold to Taylor's of Redbourn in 1927 and then to Savages of Risely, Beds where she remained until 1952. 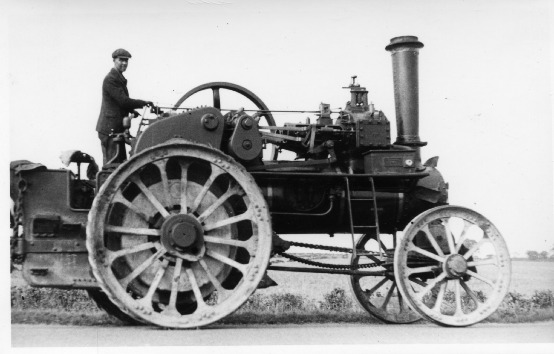 It is recorded that Grandfather owned no less than three Fowell Agricultural Traction Engines. Two of these were Fowell number 53 (built for Hodge Bros, Bluntisham, registration number TE8HP, delivered new in June 1891. Grandfather purchased her in 1929) and Fowell number 85 (built for S Morbey, Soham Cambs in 1898, Registration number EB 2833; she was sold by 1921 to J F Alderman of Thorney, Ely, and then again in 1926 to J H Ogden, March; in 1937 she was sold to S A Flack, Orwell, Cambs. In 1941/2 she was scrapped). 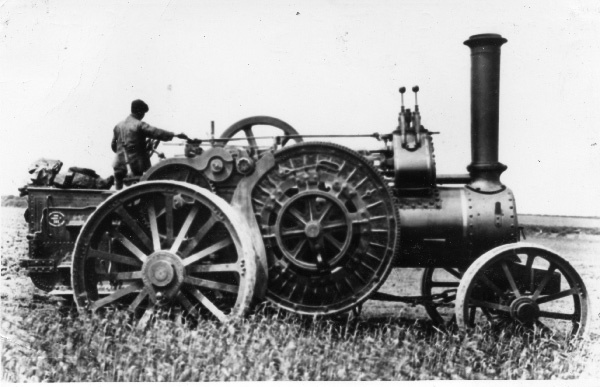 Grandfather also owned Fowell number 95 a 7nhp agricultural engine, Built for Hodge Bros, Bluntisham, Hunts, delivered 25 Jul 1906 Registration number EW 2347. SA Flack bought her in 1936 and she was sold for scrap in 1952 to Richard Duce, Cambridge. Four other registration books showing ownership by Sidney Alfred Flack survive. These show Burrell No. 2324, a 7nhp Single Crank Compound Agricultural Engine Reg. No. CE 8370 recorded as weighing 9 tons 9 cwt, which was new to G. Peters of Orwell on 27th September 1900, (My father, Esmond Flack, told me that Mr. Peters once advanced a loan of £500 to Grandfather to purchase more equipment in the hope that he would get first call when his fields were ready for cultivation.) Fowler Reg. No. NK 1131 10 tons 10 cwt; Fowler 7959 Reg. No. NK 1176 8 tons previous owner Richard Gauldie, Hertfordshire and Fowler Ploughing Engine No. 3048 Reg. No. CE 7697 13 tons previous owner Messrs. Pamplin Bros. Cherry Hinton, Cambridge, although shown as Pamplins Steam Rolling Company in Thurlows records! This interesting pair of Single Cylinder Ploughing Engines 3048, CE 7697 and 3049, CE 7698, were new in 1876 to Henry and Charles Roberts of Haynes, Bedfordshire and later converted to Single Crank Compound Engines by Burrell's of Thetford. They came to Orwell on 13.2.41 via Thurlows. It was recorded that they came with a 6 furrow plough, cultivator and water cart. It is thought that 3048 was scrapped in 1948 and 3049 survived until 1957 as a soil sterilization boiler at Day & Sons, Gamlingay Nurseries, Nr Sandy Bedfordshire. After Grandfather's death at the age of 65 on the 23rd November 1946 my Grandmother Maude Flack continued the business of S.A. Flack & Son. My Father, Esmond, who at that time was working at Cobbs Wood Farm, which the family rented from Wimpole Estate, left the farm to help my Grandmother run the business from Ivy House, Fisher's Lane. 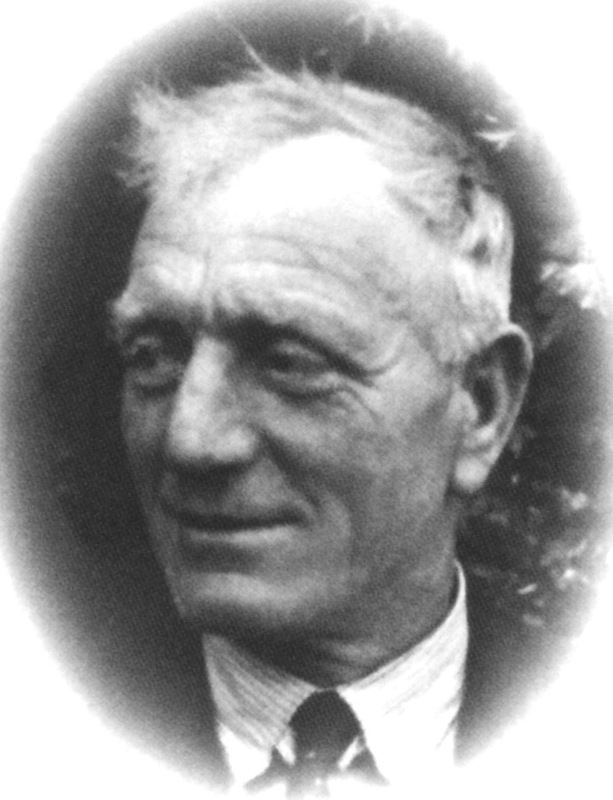 My Uncle Sidney Oliver Flack, known as Olley, although involved in the running of S.A. Flack & Son remained at the Farm as the winter corn had already been planted. The Tenancy of the farm ended after harvest in 1947. S.A. Flack & Son continued to work as agricultural contractors specializing in threshing, baling and chaff cutting for a few years until my uncle Olley and father decided to go their separate ways. My uncle had by now returned to live at the old Red Lion in the High Street and was hauling hay & straw for John Innes & Co. My father decided to carry on with the contracting business, the major part of the work undertaken at this time was still threshing, baling, chaff cutting and later combining. At this time typical charges for this type of work was: Threshing at a cost of £2.00 hour, Baling (behind the threshing drum) £2.00 per ton. Combining was also undertaken at £4.00 per hour. This involved delivering hay and straw to the circus wherever they happened to be as well as regular deliveries to their headquarters and zoo near Windsor. Also in the early part of the 1960's another regular customer was Townsend, Hook & Co in Kent who purchased straw for the manufacture of paper. Good dry baled straw at this time was delivered for 5 guineas per ton, a typical lorry carrying a net load of 5 tons. The last job of commercial threshing of corn, by Esmond Flack Limited, took place in Dunton, Bedfordshire in February of 1966. My Grandmother, who had always been an active partner in the running of the steam contracting business, Maude Flack died on 8th February 1976. Esmond Flack Ltd continued trading as a Hay & Straw Merchant and Haulage Contractor until November 1988. A Marshall "SM class" Threshing Drum operated by my father survives at The National Trust Home Farm, Wimpole. I would be grateful to hear from anyone who might have photographs or further knowledge of Grandfathers Engines or indeed from anyone who could correct any details I might have wrong! A Tribute: Steam is a bug that gets in the blood and bites! nothing to discourage my interest, painted a bleaker picture by telling me stories of cleaning smoke boxes and fireboxes, gritting the snow covered hill with sand on a bitterly cold winter's day and of the dust and chaff and sweat whilst threshing! I can remember going with him as a youngster and spending my time catching mice amongst the noise and bustle of the threshing gang. By the time I went to secondary school the bug had truly bitten me, sneaking away from lessons to Howe's Farm, Bassingbourn where to my great delight I discovered Aveling and Porter Road Roller 10906. It was in fact the headmaster, the late Pat Thorne, who had told me she was there. My interest in Steam was much encouraged at school by Pat Thorne, Mike Lowe, Dave Billings and the late Harold Aldridge. 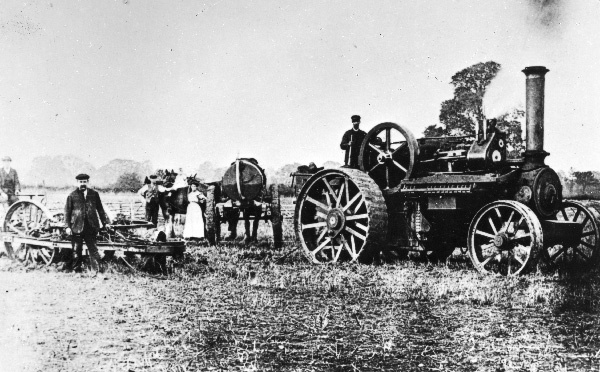 By this time I had been introduced to Charles Roads who at that time had a large collection of Fowler Ploughing Engines in his yard at Orwell, less than half a mile away from home! 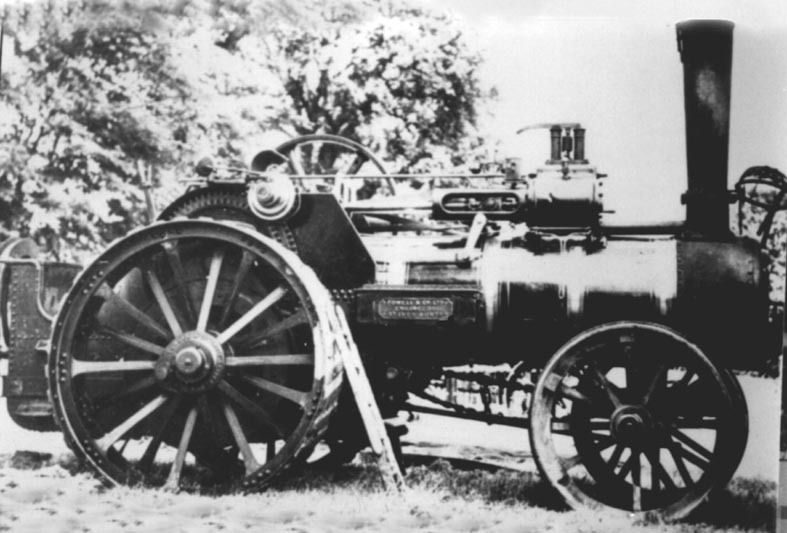 It was in my early teens I became the youngest member of the 'Orwell Steam Ploughing Company' spending much of my time at the yard, at local events, at rallies or up and down the country bringing yet another engine back to the yard. At one point during this time Charles had a collection of no fewer than 22 Engines and misc. ploughing tackle. 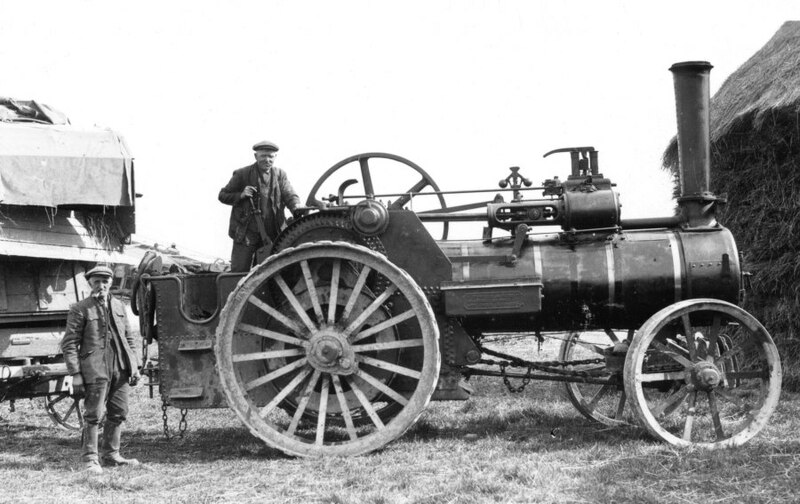 Much is owed to Charles Roads who, now Chairman of the Steam Ploughing Club, has introduced me to so many good friends in the Steam World. I have wonderful memories of the time spent at the Orwell yard with Charles, Mike Goodman, Jon Bush, the late Sid Kitson and the late Harry Gifford to name but a few. At rallies I was lucky to form friendships and spend time with the late Peter Coulson and his lovely family, and the late Alec Ibbott. Roxton Park Rally was instrumental to forming many wonderful ongoing friendships, Paul and Lynn Worbey, and too many others to mention by name. I was fortunate enough to be introduced to the late Geoffrey Wheeler and his wonderful family and spent much time in his company at his lovely home in Penn, High Wycombe and on the rally field. Charles's interest in Foden lorries led to Cambridge Midsummer fair and of course the late Steve Neville and Burrell 3886 Lord Lascelles. I was fortunate enough to spend the weekend of my 21st birthday at the Essex showground in the company of this legendary pair! Later years found me in the company of Dave Piggott and 'Spider' Much is owed to Dave and his family and of course, John and Sylvie Mann who have done so much to help me encourage my children to become interested in steam. Emma and Michael who have indulged, if not always shared, their father's passion over the years. But now I find my passion matched by Richie who has a love of anything mechanical especially Steam Traction Engines and Trains! Last but not least my thanks to my partner, Jacqui, without whose support I could no longer indulge my passion in Steam. This page was added by Martin Grigor on 17/10/2012. We now know that Clayton & Shuttlewoth Traction Engine No. 47048 was new to James Russell, Manor Farm, Bassingbourn, Nr. Royston, Hertfordshire on 23rd October 1914 and not C.C.C. as previously believed.